Mike frequently appears before sold-out audiences in major cities like New York, Chicago, and London. He's a favorite for churches, colleges, and conferences exploring the intersection of science and faith, with recent stops at The University of Georgia, Mars Hill Church (Grand Rapids), The Wild Goose Conference, and Google. Mike is a frequent contributor to RELEVANT magazine, Storyline, BioLogos, and The Washington Post. He's also a frequent guest on radio program and podcasts worldwide, including recent interviews on SiriusXM and NPR. 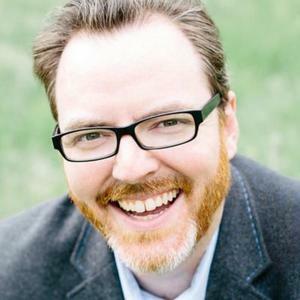 Mike McHargue is one of those rare voices that can speak knowledgeably and authentically about both science and faith. He's a for anyone looking to dig deeper into doubt, atheism, and how God rewires our brains. Mike's mix of honesty, humor, and affability allow him to connect with remarkably diverse audiences. Mike lives in Los Angeles, CA with his wife Jenny and two daughters. Mike Mchargue has been a guest on 1 episode.